Here at Loews Ventana Canyon, it’s all about locally grown products, farm-fresh ingredients, and innovative menus created by our award-winning chefs that capture the unique flavors of this remarkable Southwest destination. Whether you stick to one favorite among our dining options or try them all, you’ll find that our chefs’ passion and pure Southwestern flavors are the main ingredients at our restaurants and lounge. Looking to lounge around? 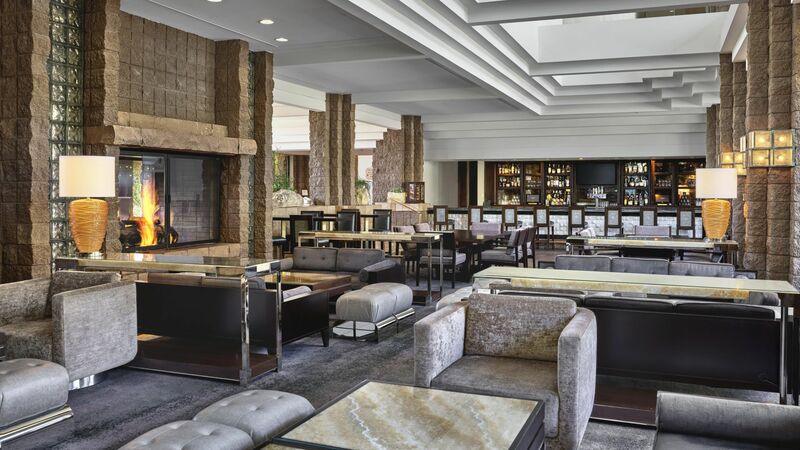 Loews Ventana Canyon has two lounges for you to enjoy. And of course, you can always order drinks poolside. Chef de Cusine Tyler Lapotosky has created a delicious menu for you to savor indoors in our rustic dining room, in front of the cozy fireplace—or outdoors on our patio, surrounded by magnificent views. 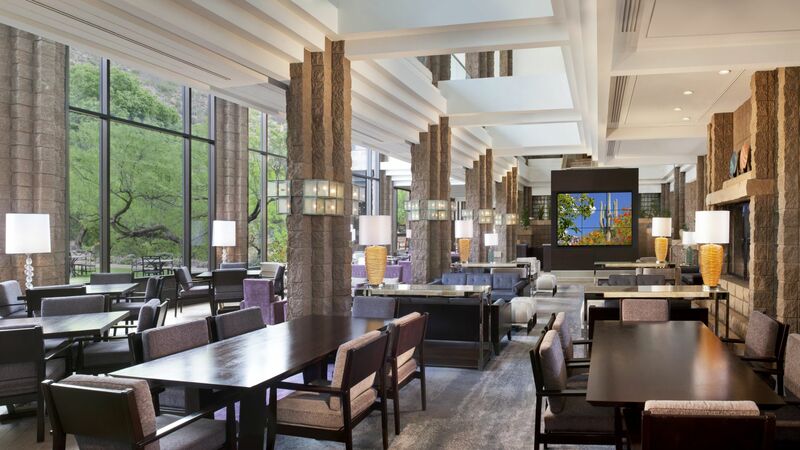 Relax as you admire stunning views of the Catalina Mountains—from Canyon Café’s indoor dining room or refreshing outdoor terrace. This casual spot serves modern American cuisine with Southwestern soul, and heart-healthy options that are anything but boring. Enjoy signature dishes like Prime Rib “Enchilada Dip” or something with a Southwestern twist like our Thin Crust Pizza with red chili chicken and Chipotle Cheddar Mac & Cheese. Chill-out poolside and enjoy live blues, and delicious dishes served by our chefs—right from the grill to your plate. Whether you have a taste for grilled salmon and sushi, BBQ ribs and burgers, seasonal vegetarian plates, a made-to-order egg frittata, or decadent pastries and desserts, you’ll find your flavor here—or have one specially made for you. No wonder the brunch is rated #1 in Tucson. The Blues, Brews & BBQ Sunday Brunch is a weekend institution at The Loews Ventana Canyon. Looking for a refreshing beginning or a midday jump-start to your day? Stop by Vista Barista, featuring Starbucks coffee drinks, specialty teas, power smoothies and yogurt parfaits, plus fruits, delicious breakfast pastries and bagels. There’s also light salads, sandwiches and snacks to take on the go. Open daily from 6 AM–2 PM. The perfect poolside retreat, Bill’s will feed your hunger with light Sonoran Mexican fare like Sonoran hotdogs, burgers, tasty wraps and of course, the accompanying beverages. Open daily, 11 AM–sunset (weather permitting). When you prefer the convenience of a meal in the privacy of your own guestroom or suite, let us treat you to a selection from our in-room dining menu.